Introducing Independent Play – a video series presented by Young Henrys featuring a live performance by one Independent Artist of the Week, every month. Kicking off the series is Bowraville’s finest Tasman Keith. 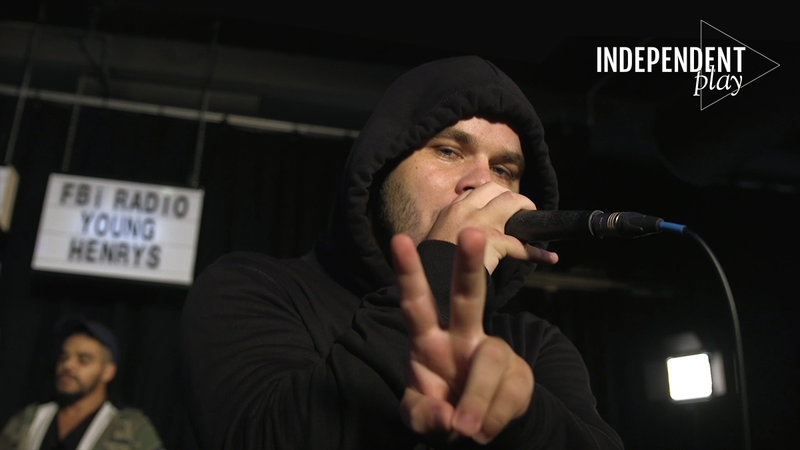 Son of trailblazing Indigenous MC Wire, Tasman is building on this legacy, using hip-hop to continue the storytelling traditions of his community. Check it out as he scorches the FBi Radio stage with a flame-throwing rendition of his latest single ‘Move Up’, before sitting down for a chat where we find out how independent he really is. ‘Move Up’ is Tasman’s first single since the release of his debut EP ‘Mission Famous‘ late last year. It got a rinsing on FBi Radio, and this live version (featuring Kapital J and Marbuck Duroux) is proof positive that Tasman has what it takes to bring his mission slang to the world. Think we’re exaggerating? Just watch, and if you can’t hear your heart pounding in your ears 15 seconds in seek medical attention, stat. Check back every month for the latest instalment of Independent Play, thanks to Young Henrys.